This morning frost was widespread in eastern North Dakota and western Minnesota. Most locations that had not recorded a low of 32° yet this season did record such a temperature or lower this morning making for the end of the growing season now in all of North Dakota with a few isolated exceptions. 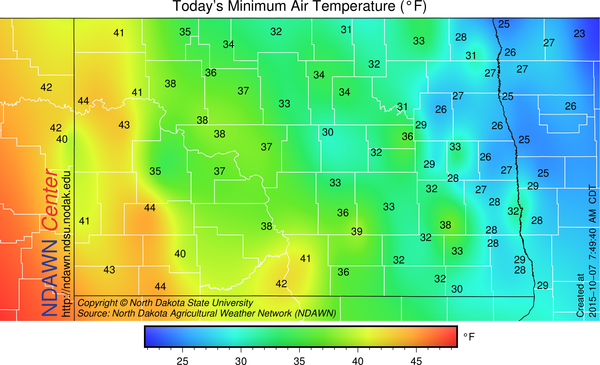 Western North Dakota was much warmer this morning as cloud and warm air advection was moving into that part of the state overnight. 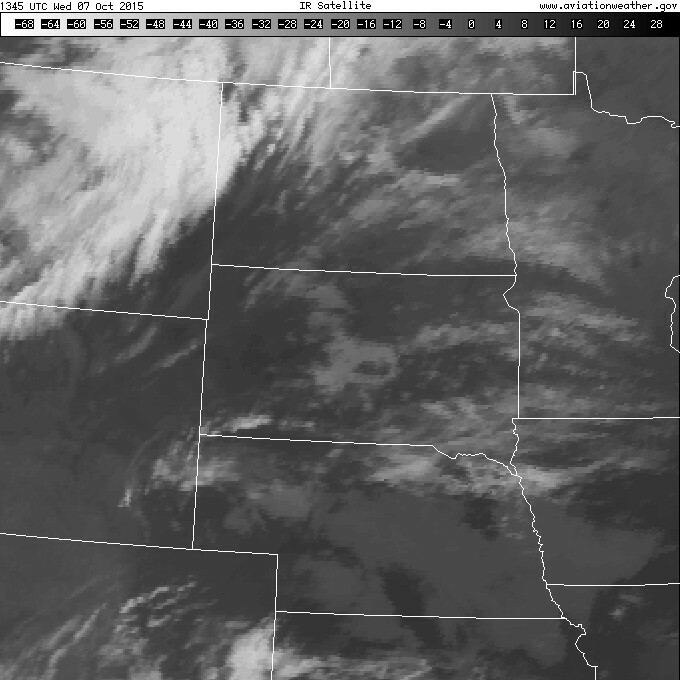 That line of clouds is associated with an area of low pressure currently in Saskatchewan and moving to the east/southeast. A warm front is trailing that low and should trigger off a band of light rain as it moves across North Dakota into Minnesota. The system will likely gather more moisture as it moves eastward, being overall amounts will increase as it moves from west to east. Therefore, the Red River Valley will probably record the highest totals overall, with Minnesota locations getting even a bit more. Beyond today. A big warmup for the weekend when some locations could hit 80° or a bit warmer with maybe a touch of rain in spots on Sunday Night.